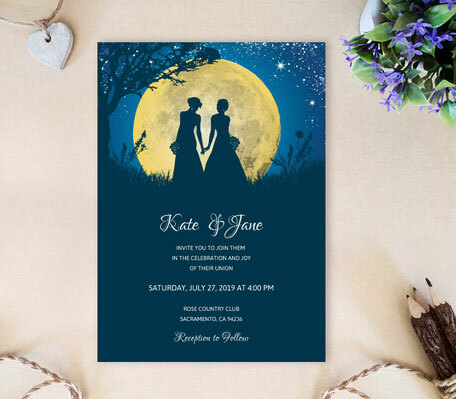 Our romantic Lesbian Wedding Invitations are all about this beautiful event and the wish to set the foundation for a most marvelous future. 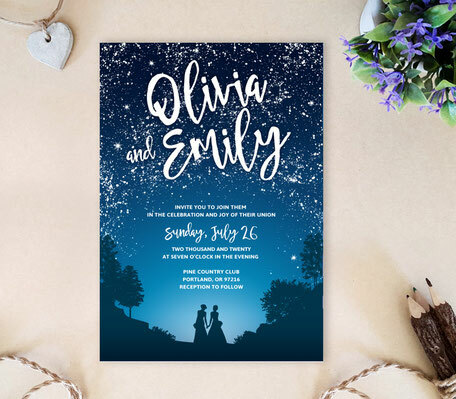 Let our lesbian wedding invitations remind you about your BIG day. 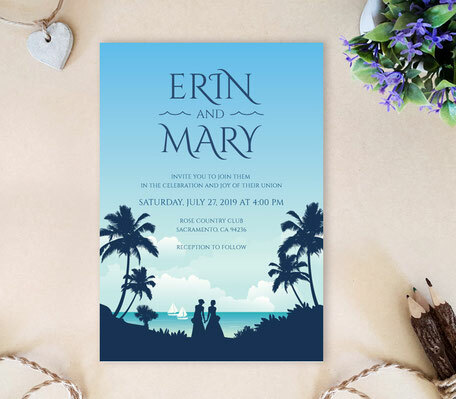 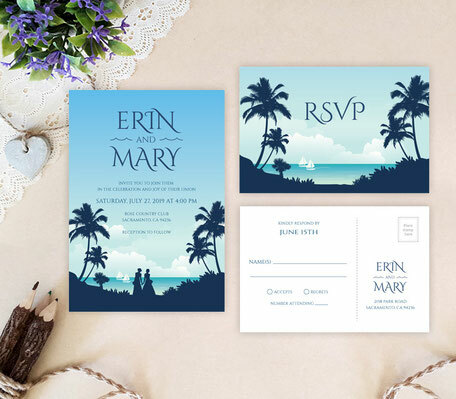 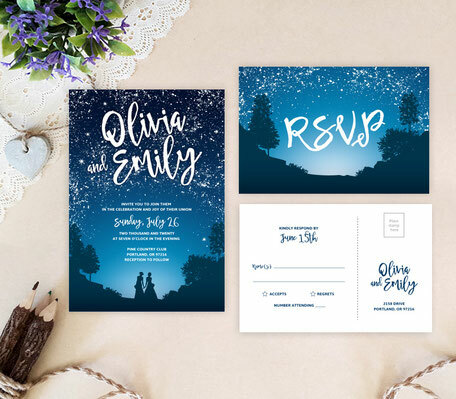 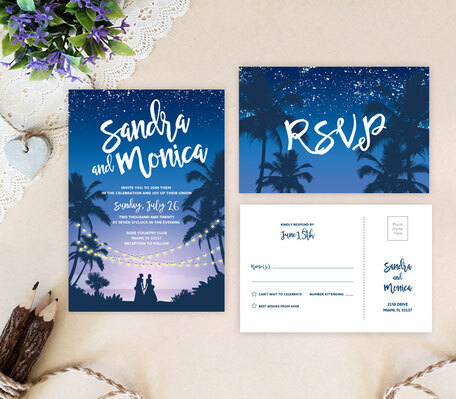 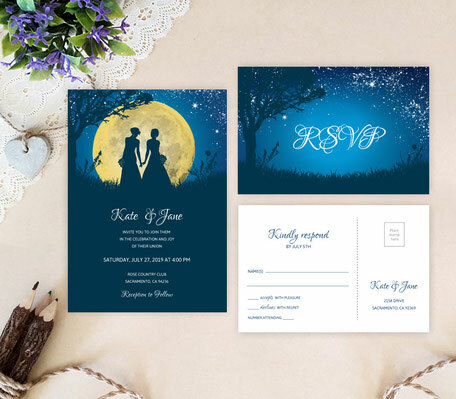 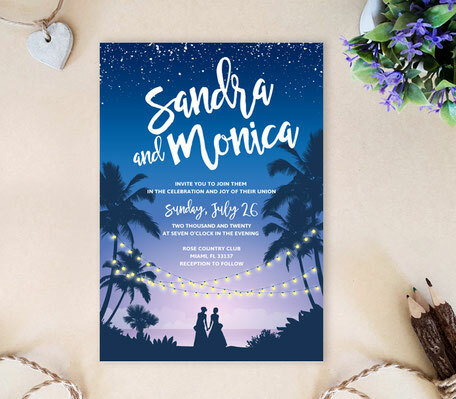 These invites will certainly impress and gladden the hearts of your guests and remind them that indeed, romance is a special gift which we must hold dear in this world to allow it to carry on and flourish as a place for your family and friends.